The FDA requires a minimum of two viral clearance steps operating by different mechanisms to provide assurance of viral clearance. To be considered robust, a viral clearance step must be validated to consistently remove model viruses with at least 2 logs of clearance. When filtration is used, the objective is to obtain effective viral clearance without causing protein (product) loss. 3M Purification Inc. Zeta Plus™ VR Series filters can be used upstream in cell culture processes to provide additional assurance of virus removal from serum-based growth supplements. For downstream viral clearance, Zeta Plus VR filters can be used at the final stages of purification before sterile filling (1). Zeta Plus VR Series filter media are a family of cellulosic depth filtration media designed to retain contaminants through ion-exchange adsorption. They are composed of high-area process filter aids embedded in a cellulose-fiber depth filter matrix. Reports from end users and in the literature demonstrate that VR series depth filters are effective in retaining various mammalian viruses. Because the nominal pore size of VR Series depth filter media is significantly larger than smaller mammalian viruses, it was anticipated that ion-exchange capture mechanisms predominate. to test this hypothesis, we conducted a series of experiments to evaluate retention using different VR Series depth filter media of bacteriophage Phi X-174 suspended in different ionic strength buffers. Table 1 describes the results obtained with different VR Series filters. A second series of experiments evaluated two types of VR filters (VR 05 and VR07) for clearance of Xenotropic Murine leukemia Virus (xMuLV, 90 nm) and Porcine Parvovirus (PPV, 30 nm). The study involved spiking a Protein A affinity column eluate with the virus samples. The column eluate solution consisted of a partially purified monoclonal antibody solution in pH 5, 20 mM sodium acetate buffet at 20 °C. Table 2 shows the results. Reports have demonstrated the effectiveness of 3M Purification VR Series filters in achieving significant viral clearance from blood-based protein solutions. at the IBC Second International Symposium on viral Clearance in June 1998, Dan Revie (Nabi, Boca Raton, FL) presented the data shown in Table 3 regarding clearance of several mammalian viruses in a paper titled “Novel validation approaches to obtain Maximum viral Clearance From an immnoglobulin Production Process” (2). Based on FDA requirements to use multiple stages of viral clearance operating by different mechanisms in purification processes, Zeta Plus VR Series filters offer a complement to viral clearance steps involving size exclusion filtration and viral inactivation methods. Specifically, Zeta Plus VR Series filters can be used to provide incremental viral log clearance to heat, solvent, detergent, or pH inactivation steps as well as sizeexclusion nanofiltration membranes. The larger pore size of Zeta Plus VR Series filters ensures adequate process flow rates (>2.7 LPM/m2) and minimizes product (protein) loss due to mechanical retention. 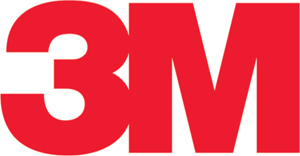 Michael Wang, PhD, is marketing manager for bioprocess at 3M Purification Inc. 400 Research Parkway Meriden, CT 06450-1018; 1-203-238-8795; mwang9@mmm.com. 1.) 3M Purification Inc.Zeta Plus VR Filters for Viral Reduction in Biopharmaceutical Processes, M Purification Inc. application brief. 2.) Revie, D. 1998.Novel validation approaches to obtain Maximum viral Clearance from an immunoglobulin Production Process. IBC’s 2nd international Symposium on viral Clearance.